Therefore the color can be different and matching their host, like yellow and orange. Found off the South African coast in False Bay and have been seen from 10 to at least 30m underwater. The Crinoid shrimp is probably endemic to this area. 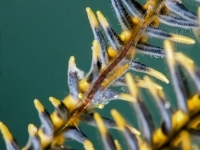 There is evidence however, that these shrimp exist elsewhere in the world with the species recently observed in the Philippines. 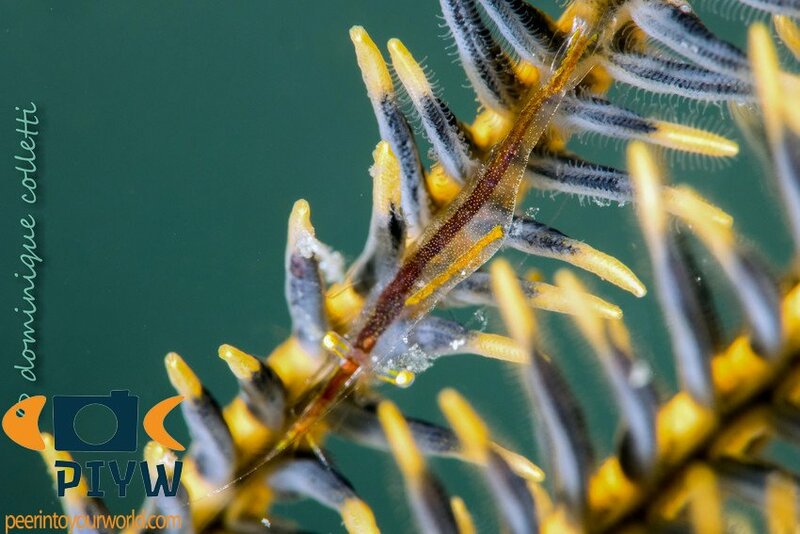 The shrimp lives on a host, the elegant feather star (Tropiometra carinata). Up to 3 cm in total length. The Crinoid shrimp probably eat the wastes of their host.